Friday 9th September sees the Kelso Ram Sales and Simon Bainbridge who runs Northumberland’s Monitor Farm, at Donkin Rigg, tells us what he will be looking for when he selects his Tups for the Autumn. A key factor for his purchases will be the Estimated Breeding Value of the sheep he buys. Estimated Breeding Values provide an invaluable insight into the genetic potential that a ram can bring to your flock. Genetic Gain makes great commercial sense. If EBVs are used wisely production levels can be moved up a gear or two. “This is the time when you create your potential to make maximum profit next year and for years to come. It’s crucial that you get it right! Use EBVs. You can't judge always a book by its cover," says Simon. Although Simon has already bought tups from Willy and Carole Ingram at Logie Durno near Aberdeen and from Hans Porksen, of Gallows Hill Farm, near Scotsgap, he needs more quality breeding stock which he knows he will find at Kelso. Simon knows exactly what he is looking for, to run with his flock of 1200 ewes, North of England Mules and Swaledales, with some Swaledale Cross Hexham Type Blackface. Simon reviews his existing tups, before he even sets out to buy replacements: he does Ram MOTs to make sure his Ram Team are tip top and able to do their bit for the business's bottom line. With being organic and lambing outside from April onwards and trying to have a low input system, I want the sheep to be able to lamb outside on its own, with as little shepherding as possible. So the ewes need to be maternal and the tups to have been bred outside. I need a tup that will produce a small lamb that the ewe can easily lamb herself outside. The lamb has to get up and go, and the male must have a good growth rate and one which has more fat so that I can sell it early in the season. My aim is to have a good eight week weight and a good muscle depth. I am looking for a breeder who is breeding his tups in the same way that I am lambing my sheep. If you don’t consider the health status of replacements seriously, you can stall your productivity altogether, or worse still, put it in reverse! “That's not much to ask is it ! !” admits John, but though the list sounds daunting, a potential bidder should try to get reassurances on as many of these as they can. They should also find out what the tups were fed before the sale and what mineral and vitamin supplements they were given. The final advice comes when the tups arrive back at your farm. 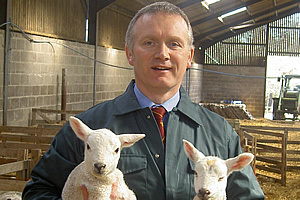 John adds: “Remember to quarantine them when you get them home and get them onto your system as quickly as possible”. The aim of the Monitor Farm project is to improve efficiency and productivity at Donkin Rigg and share successes (and failures) with farmers in Northumberland and beyond. It focuses on 4 main areas: soil structure/fertility and grass/forage management; sheep production; cattle production; business efficiencies (environmentals, renewables, banking etc). Regular open meetings at Donkin Rig, near Morpeth, are held, where the farm’s progress and development is examined and discussed. Regular inputs from experts from all aspects of agriculture and the rural economy are a key feature of each meeting. 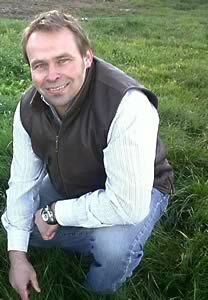 Wherever possible, these focus on relevant features of the farming year.